This action will get the Modified Date of the specified file or folder and put it in a variable. Specify the file or folder name to retrieve the modification date. The action will fail if the file does not exist. Optionally, choose a variable to store the date in. The date will be stored as a formatted date/time string. 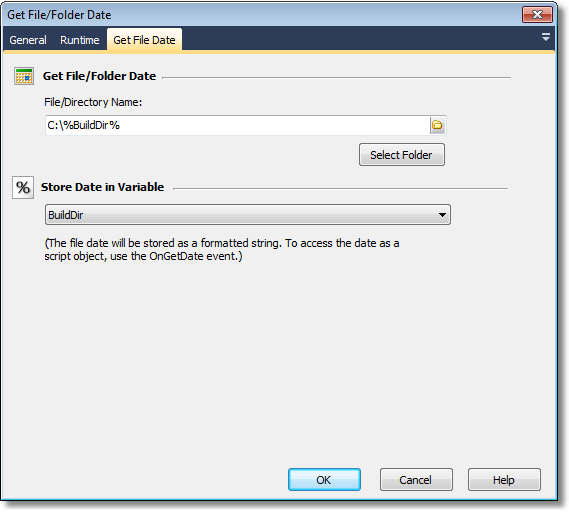 If you wish to access the date as an object, you can use the OnGetDate script event.